Who doesn't love a GIF? They're great for punctuating your witty words on social media, illustrating your argument and showing off your fandom credentials. They can also be used for less entertaining purposes as part of a tutorial, or to promote your business. This is the most obvious route, upload a video or paste in the YouTube link, and many websites will allow you to select the right portion, add subtitles, and convert it into a GIF. If you've gone to the trouble of creating a video and want to transform part of it into a taster, this is perfect. Ditto, if you've been doing some screen recordings using a free tool like Awesome Screenshots, this is a great way of converting them into GIFs. There are many options for doing this, here are two of my favourites. They work whether you are using as your base an already uploaded video (i.e YouTube) or a video you have the file for on your computer. Gifs.com is very user friendly - you simply paste the link in and then it takes you to a window where you can add captions and also various meme effects such as Deal with It (see below). It's freemium ($7.99 a month if you want to access certain options such as no Watermark). Annoyingly, even though it claims to transform images into a GIF, they're actually an MP4, so I had to put it through EzGIF to show you what it looks like. This isn't a problem for most social networks which allow you to upload MP4s however! Now here are two easy to use options which can let you create quite beautiful GIFs. The first is Canva - the option to create a GIF is currently still in Beta and only available if you use Canva for Work ($9/$12 a month). Essentially you design each image as you'd like it to appear (text and image) and then when you choose to download, you select 'Animated GIF' as the option. As a caveat, you can't have too many items on each image, and the images themselves can't be filtered or edited too heavily for this option to work. Another option I've discovered recently, is with a tool called Crello. It looks very similar to Canva in set up, but it has rather fun options for animation where you can choose an animated background (instead of animated text). It downloads these animations as MP4 rather than GIFs so, again, I converted it on EzGIF (and compressed it) to be able to upload it here, but most social media networks will accept MP4 fine! Oh, and it was free! I understand becoming a paying customer might give you access to more design options, but the free version is good too! 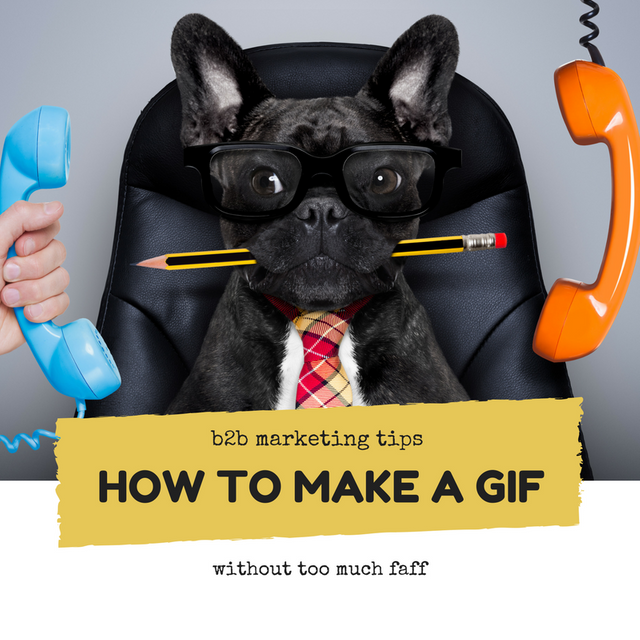 So there you go a few easy, mostly free, tools to help you create as many GIFs as you want. Do you have any other favourite tools? Connect with me on LinkedIn and let me know!